Hello everyone! How is the New Year treating you? Mine started off well, got these two in the beginning. 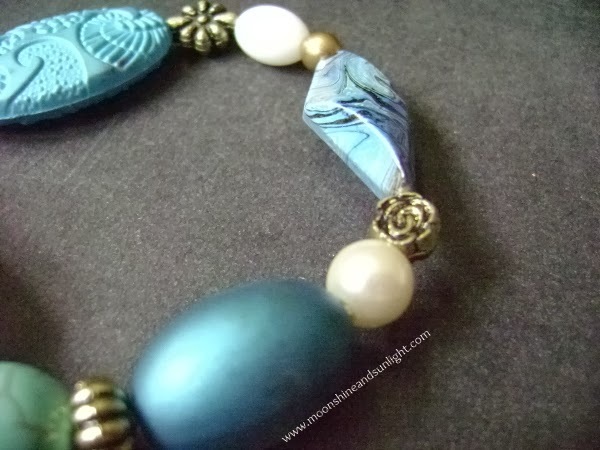 My blog when I started off, I started with a few craft tutorials and also with some jewellery inspiration. It had been a long time since I made any piece of jewellery but, then I made this to kick start the year! Till now I did not have anything of the mixed media category in my jewellery box . And finally I made one bracelet for myself! 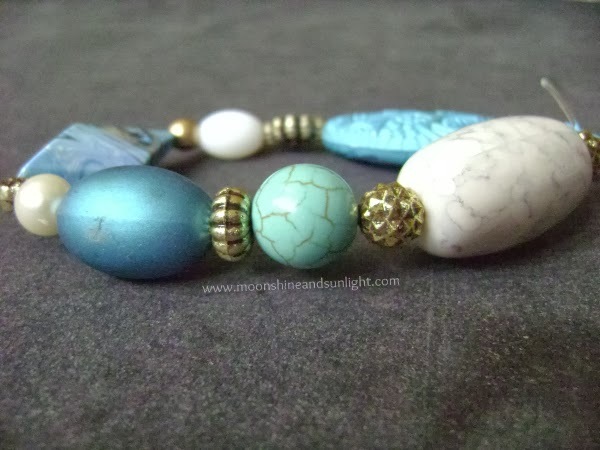 And since I just love the color blue I made this, turquoise colored bracelet for myself! Combining it with white and matte golden beads! 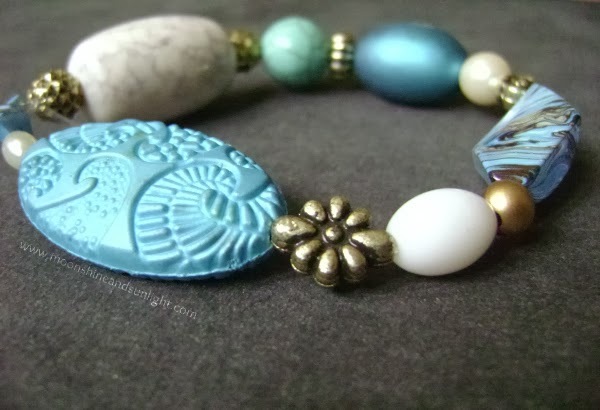 I used velvet and ceramic beads of various sizes and also ceramic beads. You can also find a white pearl and a round turquoise bead in this. What I liked about this is that it turned out so well and I totally love it! I made two more and will be showing you those two very soon, so stay tuned! 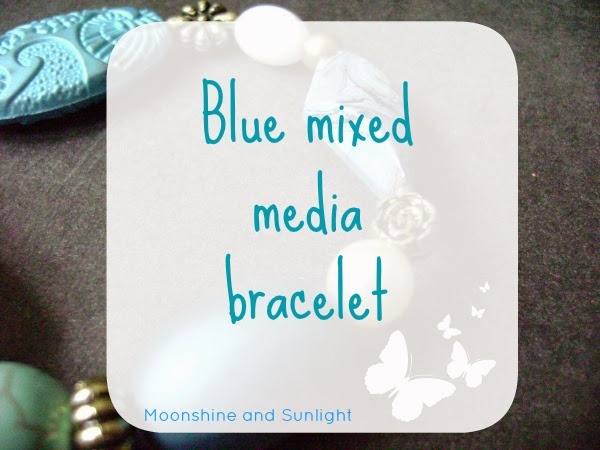 Making this type of bracelets or anything for that matter is good way to utilize those beads which don't have a pair or is the one you left out etc etc. its sooo very pretty! looks quite nice on u! That is really cute, share the other two soon! Yup i love this shade of blue!! Wow! This is really pretty! It looks super beautiful. Gorgeous color! yup ! it is !! Very pretty!hope to see many more like this! 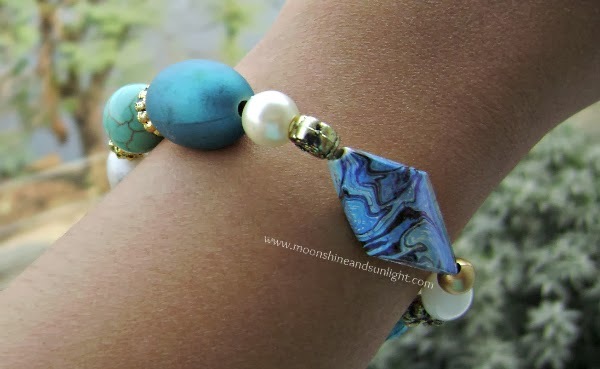 This is suchhh a pretttyyy bracelet!! So delicate, so chic!!! such a awesome bracelet ! This is beautiful! Thanks for linking up to the Bloggers Brags Pinterest Party. Your post is now pinned to the Bloggers Brags Pinterest Board. Hey this is super simple :) This s certainly inspiring me 2 make 1 on my own!! !